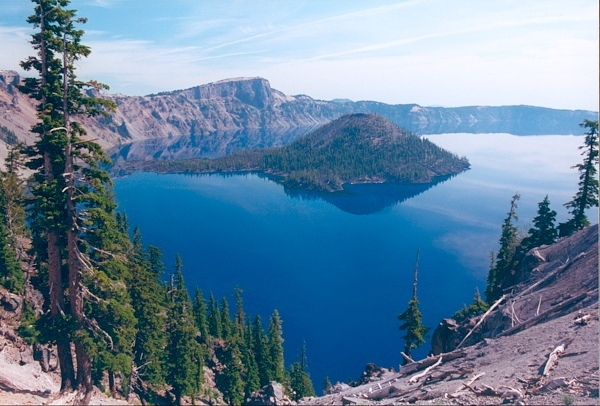 The most beautiful places in Oregon, one of which is in Crater Lake National Park. This is a lake that formed about 4680 years BC from the Mazama volcano erupted. 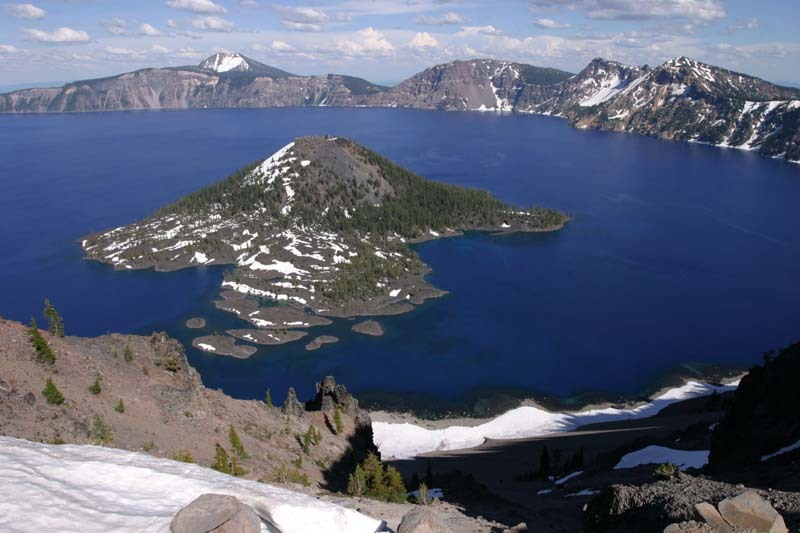 Crater Lake become the popular tourist attractions in Oregon. Crater Lake water looks very blue as ink, surrounded by cliffs as high as 2,000 feet (610 meters). But the depth of the lake itself is certainly more than 1,900 feet (580 meters), also known as the deepest lake in the United States. Interesting activities you can do in Crater Lake is to walk up the mountain (hiking trails) as far as 33 miles or 53 kilometers while enjoying the natural scenery around. Then the next day the two-hour tours go to the beach with a boat. Plant diversity is very beautiful there. Hemlock and spruce forests of Mount Shasta dominates the red area around the edge of the caldera. While there are pine trees in the area of ​​the rim. No less interesting to the other, the animals like black bears, deer, marmots and eagles became the most visible display around Crater Lake Oregon. Well, to get to this place, you can come from the west (Medford, as far as 137 kilometers) or south (Klamath Falls, as far as 105 kilometers). The airport is available at the Medford and Klamath Falls. (Nationalgeographic.